What are the specs of the iPhone XS? What about the iPhone XS Max? How is the iPhone XS better than the iPhone X? How is the A12 Bionic better than the A11? How have the cameras improved? If I have the iPhone X, should I upgrade to the XS or XS Max? 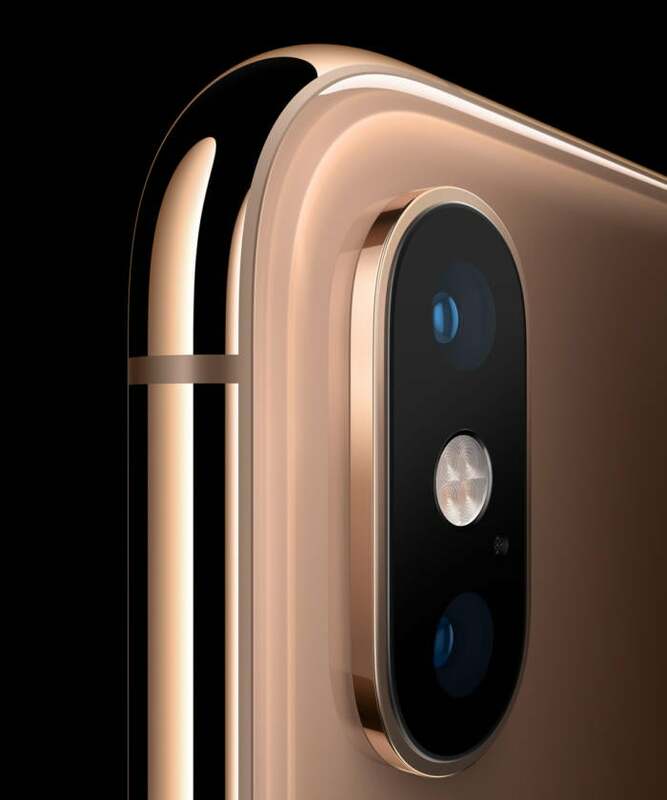 On September 12, Apple announced its latest high-end premium phone: the iPhone XS. As the name implies, it’s something of an upgrade to the iPhone X. You’ll find the same overall design and major features, with a handful of big improvements. That doesn’t mean it’s a bore. Quite the contrary: For those who found last year’s iPhone X just a little too expensive for what you get, this year’s improvements might be enough to win you over. Here’s everything you need to know about the iPhone XS and iPhone XS Max. The iPhone XS is identical in size and shape to the iPhone X, and just a tiny bit heavier (you’ll never notice the difference). 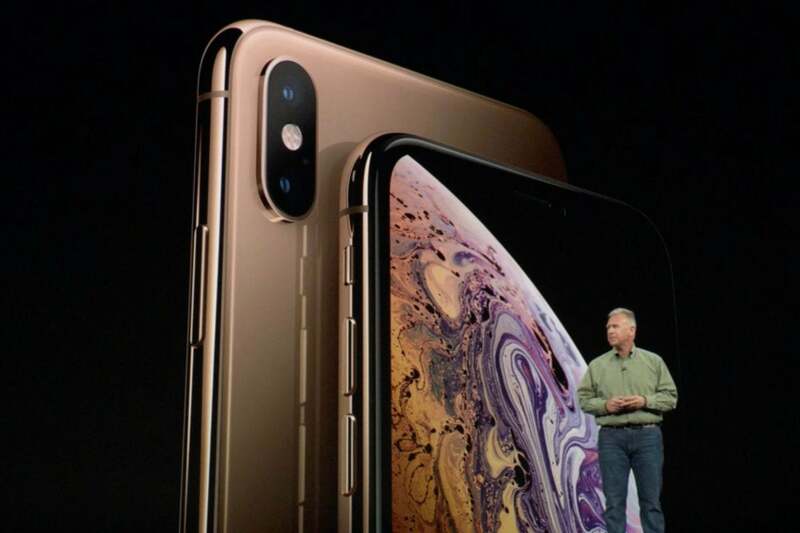 Apple’s new phone comes in two sizes: the iPhone XS, with a 5.8-inch display, and the iPhone XS Max, with a 6.5-inch display. It has the same sharpness, at 458 pixels per inch, which gives it a resolution of 2688 x 1242. The iPhone XS Max is 6.2 inches by 3.05 inches by 0.3 inches, and weighs 7.34 ounces (just 17 percent more than the iPhone XS). It has a larger battery, which gives it a bit longer battery life—about an hour more screen-on times, according to Apple, and about 5 hours of screen-off use like talking on the phone or playing music. The iPhone XS Max costs $100 more than the iPhone XS. The iPhone XS comes in two sizes: large, and larger. 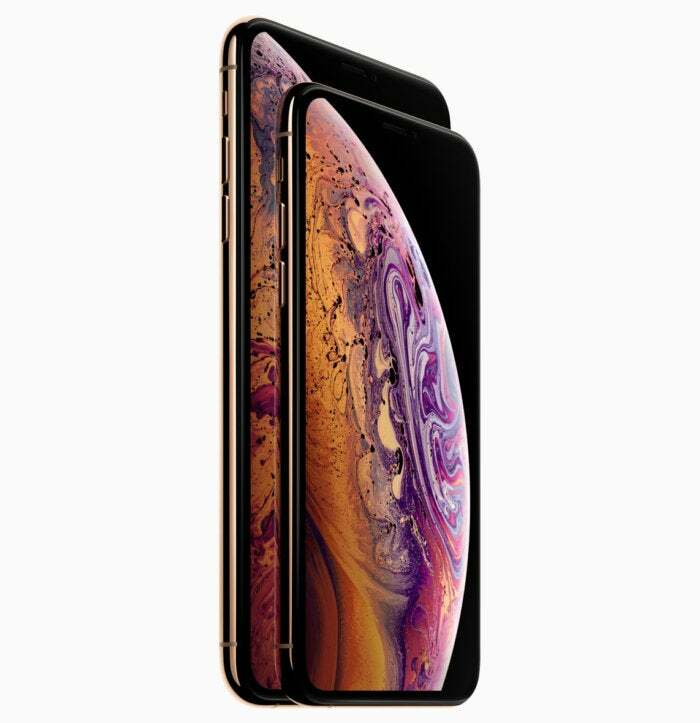 The iPhone XS and XS Max began preorders on September 14 from a variety of retail stores and carriers. They ship, and appear in stores, on September 17. If you want their less expensive cousin--the iPhone XR--you’ll have to wait October 19 to preorder and October 26 to get it. 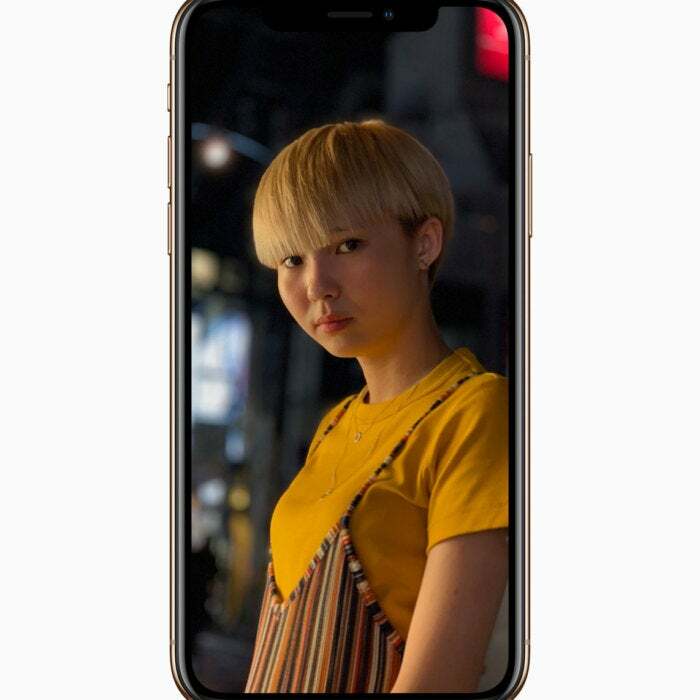 That iPhone XS Max is about the same size as the iPhone 7 Plus or 8 Plus, only with a much bigger edge-to-edge display. In other words, if you love big phones, you now have a big iPhone X. The iPhone X came in two colors: Silver and Space Grey. The former is actually more of a white with a shiny stainless steel band around the edges, while the latter is nearly black, with a matching steel band. Apple has added a third color: Gold. Not Rose Gold, just Gold. The iPhone XS models maintain these two colors and add a third: Gold. This isn’t the pinkish “rose gold” of previous iPhone models, it’s a very gold gold. The steel band around the edges has a gold hue, and the back looks downright extravagant. The A11 Bionic in the iPhone X and iPhone 8 was the fastest mobile processor on the planet when it was introduced last year. It was so fast, it still outpaces the latest high-end Android phones. With the A12 Bionic, Apple has upped the ante. 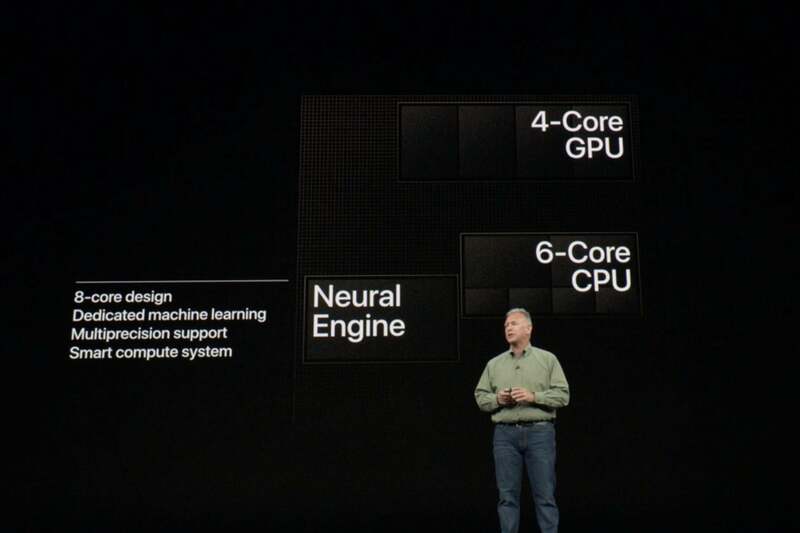 Made using advanced 7-nanomater manufacturing technology, Apple claims the high-performance cores on the A12 are up to 15 percent faster than the A11 Bionic while using up to 40 percent less power. The high-efficiency cores use up to 50 percent less power. And GPU performance is up to 50 percent faster. With the A12 Bionic, Apple improved on what was already one of the fastest mobile processors anywhere. Those improvements pale in comparison to the seriously beefed-up Neural Engine (for machine learning tasks). It is now capable of a whopping five trillion operations per second, up from 600 billion in the A11. Apple’s also got faster wireless with gigabit LTE and better worldwide compatibility, a better image processor, faster storage controller, and lots of other tweaks and improvements. In other words, the iPhone X is still one of the fastest phones on the planet, even after a year on the market. And now the new iPhone XS is faster. Though the competition is really stiff, each new iPhone can rightly claim to have one of the best (and most consistent) cameras on the market. Apple shows no sign of slowing down with the iPhone XS. It still has dual rear cameras: one wide-angle and one telephoto. But the wide-angle camera uses a new sensor that has larger and deeper pixels that make it twice as fast. That should really help in low-light situations, as well as taking multiple exposures for HDR. Speaking of HDR, there’s a new Smart HDR system that takes even more exposures than before and combines them using the Neural Engine, performing over a trillion operations on each photograph. Apple says this means that you’ll see better details in dark areas, fewer blown-out highlights, truer color, and even better bokeh in Portrait Mode. Apple promises greatly improved Portrait Mode with the iPhone XS. Portrait Mode is promised to better detect edges, especially in tricky areas like frizzy hair. And you’ll get to adjust the level of depth from f/1.4 to f/14 even after you take the shot. The front-facing camera gets a boost too. It’s still 7 megapixels, but it's now twice as fast, and can record 1080p video at 60 frames per second (up from 30fps on the iPhone X). The improved camera extends over to video recording, which promises even better image quality and, for the first time, the ability to record stereo sound. Everybody’s personal finances are different, and we can’t tell you what it’s worth to you to have the latest phone. There are definitely substantial upgrades this year, especially if you love big phones and are eyeing the iPhone XS Max. But they’re really expensive, and outside of just being generally faster, more efficient, and having better cameras, there’s no single big new feature you just have to have over the iPhone X. For most users, if you dropped $999 or more on a phone last year, you don’t really need to upgrade this year (especially considering all the great new stuff that iOS 12 gives you). If your phone is two years old, it’s easier to justify the high price of the iPhone XS—it’s a bigger leap in quality and performance. If your phone is three years old or older, you’ll definitely notice a really big difference. In any case, if you’re not already sold on one of the iPhone XS phones, you may want to wait until the iPhone XR is released in October to see if it suits you better. It’s still an expensive phone, but much less so, and doesn’t compromise much on features. All of the existing iPhone X cases should fit the new iPhone XS just fine. There's no need to go out and buy something that specifically identifies itself as being specifically for the iPhone XS. Here are some of our favorite rugged cases, and some of the best-rated cases on Amazon. The iPhone XS Max, being larger, will require different cases. Here's a list of some of the first to market, and we'll tell you about more in the future. This story, "The iPhone XS FAQ: Everything you need to know about Apple's flagship phones" was originally published by Macworld.